A NEW, state-of-the-art £4m recycling ‘super site’ in Bristol is on track to be finished by the beginning of April. 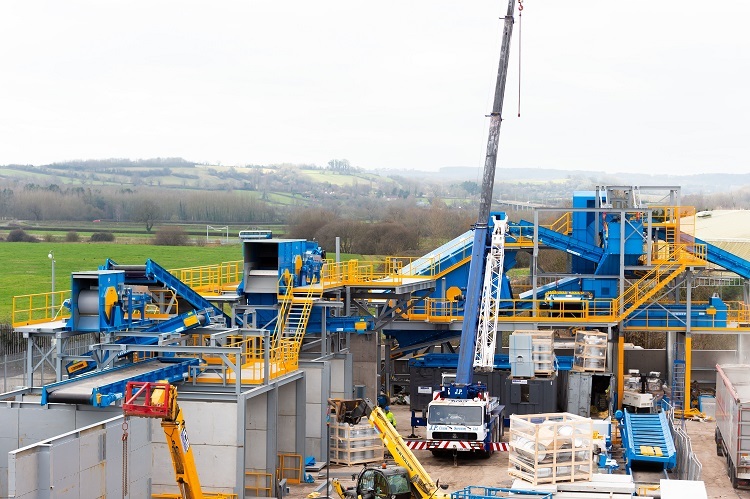 ETM’s new Turmec Materials Recovering Facility (MRF) is set to be the most efficient and effective plant in the South West, processing construction and commercial waste and will be a zero waste to landfill plant. And after just two months, it’s almost up and running. After clearing the site for the installation, phase one of the build started in early January and included the waste screen, the largest part of the MRF, being lifted into place and the plant’s largest conveyor installed. The plant will have 26 conveyors to efficiently move the waste around the site. Phase two started in the middle of February when walkways and bays started taking shape. The entire MRF can be accessed safely via walkways, separating operatives from vehicles and the plant at all times. And with phase three almost complete, it makes for an impressive site. Having spotted a gap in the market for such a facility, Amy researched and visited several plants and engineers over a two-year period and has worked closely with Turmec to ensure the plant was designed and built to meet its exact waste inputs, so it is completely bespoke to ETM’s needs. The build has not been without its challenges, not least because ETM had to completely redevelop their existing site, which meant demolishing offices and building new surrounding walls and concrete floors. Amy said: “We believe our position in South Bristol is key and allows us to respond quickly to our clients’ needs and covers a large area, so we didn’t want to move to a new site. “This meant that we had to continue to operate and process waste whilst building the new plant on a very tight site, which was hugely challenging.